Fortnite’s primary claim to fame is its combination of building with either battle royale or wave-based survival, and with the 3.0.0 update a wealth of new options will make constructing things faster and easier than ever before. Check out our Fortnite Battle Royale tips. Turbo Building will allow you to hold down the button and essentially paint new building pieces into the world. This lets you achieve feats like quickly building a ramp as you run up it. Auto Change Materials lets you automatically swap to another resource when you run out during construction, letting you more quickly achieve your building goals. Both options can be toggled from the menu. You’ll also now be able to build through stuff, even large objects including trees, rocks, and vehicles. This means you’ve got a little less guesswork on what you can build around and through as you’re going. All those updates are coming to both Battle Royale and Save the World, but the latter will be waiting a while for a new bit of improved network functionality. 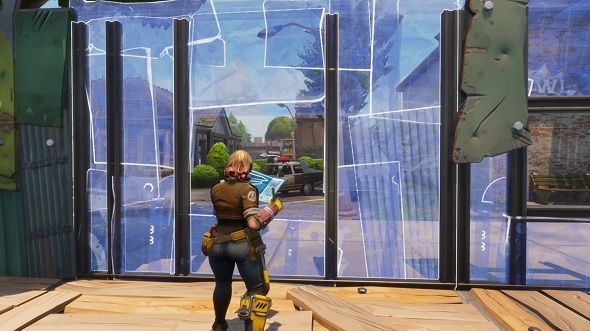 Previously, swapping between building pieces required a trip back to Epic’s servers, but that will no longer be the case in the new update, making the input feel far more responsive. This change is Battle Royale-only for 3.0.0, but will be coming later to Save the World. Battle Royale has been the cause of much of Fortnite’s hype, but Save the World is still well worth your time. It also happens to be 50% off right now, if you’d like to check in.